Remember, if you have a question, email us at dynastyfantasyfootballcentral(at)gmail(dot)com. 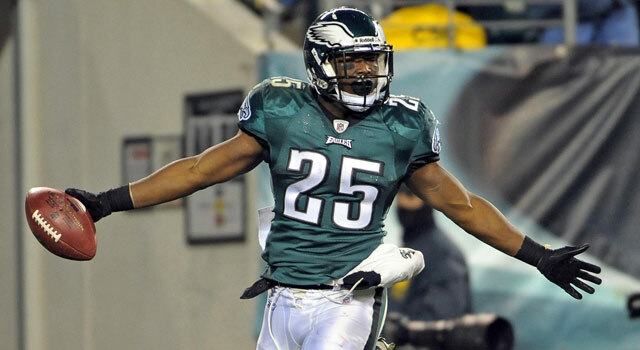 Would you trade LeSean McCoy for Dez Bryant and Ryan Mathews? PPR or not, I would trade for Bryant and Mathews. Don’t get me wrong, LeSean McCoy is probably the best running back in all of football and is certainly a top running back in fantasy. He’ll be just 26 heading in to the season but with the addition of Darren Sproles along with rookie receiver Jordan Matthews, his opportunities in the passing game will go down. But as good as McCoy is, you can’t ignore the added production from, not just one, but two quality starters. An argument could be made that Dez Bryant is the top receiver in fantasy. He has a quality quarterback in a passing offense and is still only 25. He’s averaged over 90 catches, 1,300 yards and 12 touchdowns in each of the last two seasons. Dez for McCoy, straight up isn’t even that crazy. But then you add Ryan Mathews who, while playing a whole season for the first time in 2013, finished as an RB1. And despite the Chargers adding Donald Brown, Mathews is still expected to be atop the depth chart. To make it really simple just look at the numbers. According to Pro Football Focus, Mathews and Bryant combined for 385 standard fantasy points in 2013 compared to McCoy’s 280. I think you pull the trigger. This entry was posted in Dynasty Questions and tagged darren sproles, dez bryant, jordan matthews, lesean mccoy, ryan mathews. Bookmark the permalink. What is the earliest round you would start drafting IDP players in a dynasty league? If it’s a rookie draft, I’d start looking at the Shazier’s and Mosley’s of the world at the end of the 1st. If it’s a new league, I don’t think it’s crazy to take someone like Watt in the 3rd round and on. The draft is all players on offence and defence. My earliest pick is late 2nd round. I lost picks in the 1st and 4th in trades last year. I thought I would go offence with the 2nd and 3rd picks and might start looking at defensive player starting the 5th. I wasn’t sure if that might be too late. I was looking at those player you mentioned and would like to get them. Last year the highest IDP player was 179 points in my league. I was thinking that might too low in using early picks since I would need to have some depth at offence. I guess for players like Mosley and Shazier, they will most likely off the board by the time round 5 comes around. Do you think my offensive depth is more important since I’m short early picks this season or do I go defence due to the amount of offensive player available? Sorry for the long question. No problem at all! Without looking at your team, if you’re short on depth on offense, go there first. Offense still makes or breaks you. Plus, you can find some hidden gems in IDP in later rounds. I’m not the strongest at the defensive end of my team. I have a lot of players I’m targeting but I think I’ll just have to draft best player on the board. I know from last year the rookies go early so I’ll have to draft one in the second round if I want one. That’s a really solid team to begin with. I’d still go offense the first 1-2 picks I think. I don’t like Richardson’s chances of lasting. I agree. I was hoping he would rebound this season but after last nights game he looks like the same player lost in the backfield. I’m going to have to build on my RB depth since McCoy and Murray might have 2 or 3 years left. I think if Richardson starts to look good in a few game I’m going to try a move him since you never know what he is going to do.